The local Farrier or Blacksmith and your horses’ feet. 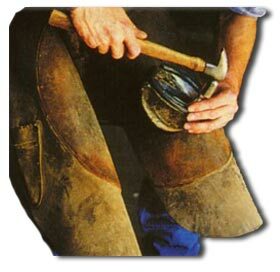 Your local equine farrier should offer a full range of services including shoeing, remedial shoeing, trimming and advice on horse hoof health. It’s always best to find a local farrier who will care for your horse’s feet and advise you on what you can do to ensure your horse remains fit and healthy. A well shod horse is a happy horse and you and your farrier should always try to ensure your horses feet are in the best possible condition. Even if you are a fan of the barefoot horse, you should still consult a qualified farrier, as to the suitability of your horse, particularly if you intend riding on the road a lot. And most farriers will quite readily present their association qualifications. However, in some cases Your farriers apprentices will often attend your horse. In this case you should understand how the farriers apprentice should be supervised and just how you can help your farrier with this. Apprentice farriers must be indentured to an Approved Training Farrier (ATF) and may practice farriery on behalf of their ATF as they undergo their apprenticeships. The Guidelines on Supervision approved by Council in 1995, agreed that they could not impose levels of supervision, but had to rely on the judgement and professionalism of the ATF in ensuring any Apprentice(s) in their employ are given appropriate supervision. However it was recommended to all ATFs that in the first year, Apprentices can, under ‘Direct Supervision’, trim, fit, nail and finish. In the second and third years they should progress from ‘Direct’ to ‘General Supervision’ and in their fourth year they should normally progress from ‘General Supervision’ to ‘Under Direction’. DIRECT SUPERVISION : The ATF is standing over the Apprentice or at least in the same room, forge or horsebox and observing the Apprentice. GENERAL SUPERVISION : The ATF is nearby, in the same premises and can be located quickly and easily. Diploma ‘DipWCF’ formerly RSS. The examination taken at the end of a four year apprenticeship. The Diploma is the prescribed examination for admission to the Register of Farriers. 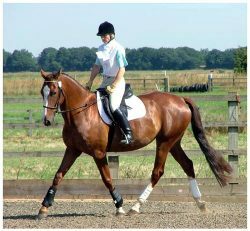 Associateship ‘AWCF’ formerly AFCL – This examination is for those who already hold the Diploma or RSS and concentrates on therapeutic shoeing and remedial farriery as required by the equine veterinary surgeon in everyday practice. Fellowship ‘FWCF’ – This is the highest level of technical competence and the hallmark of a master craftsman. CMF or Class II. A military farrier qualification equivalent to the DipWCF. MTF or Class I. A military farrier qualification equivalent to the AWCF. Make regular appointments as necessary for foot trimming and shoeing. Give your farrier adequate notice when any farriery services are required. Always provide a clean dry and well lit place, under cover if possible with a firm level surface to work on. Always arrive on time for forge appointments. And finally … Always try to provide your farrier with some sort of refreshment. A hot cup of tea in winter or a cold drink in summer. Farriery is hot thirsty work and they’ll always appreciate it. Make sure you read our Farrier Training page and learn how to train your horse to stand for your farrier. Do not use this crestor cost 20mg medication if you are allergic to..